Die schöne und natürliche Holzoptik ergibt sich aus der einzigartigen Verlegung der einzelnen Echtholz-Riemchen an der Wand. Jedes Massivholz-Riemchen ist aufgrund seine natürlichen Struktur und Farbe ein Unikat. Bundle consists of a mix of grey and brown shades. All natural, no stains used in the process. 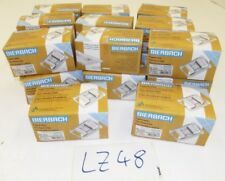 We have the best price online. Bundle consists of different lenghts, from 25 to 100 cm long with majority 100 cm long for a beautiful wall pattern. Wodewa - 3D Echtholz Wandverkleidung & Gestaltung. einzigartige 3D Optik durch unterschiedliche Holzstärken. Die schöne und natürliche Holzoptik ergibt sich aus der einzigartigen Verlegung der einzelnen Echtholz-Riemchen an der Wand. Oak, Birch and Alder 3D wooden wall claddings Nitau. Surface: planed. Construction: W ooden parts, pre-sanded Oak, Birch and Alder, are glued together in width in 3D optic. Oak - natural oiled. Oak - unfinished. 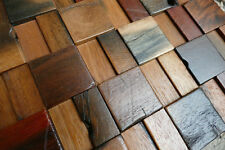 Surface of the wall panel has many and small pieces of wood in many colors and tones. Surface: Sun-faded, weathered, planed. Oak - natural oiled. Antique 3D wooden wall claddings Wenden. Oak - unfinished. Surface: planed. Oak, Alder and Birch end-grain 3D wooden wall claddings Bersohn. Construction: Wooden parts are glued together in 3D optic on 8mm OSB panel. Wall panel is cut across the grain (end grain) combination of three species of wood - oak, alder and birch. 20 x 250 PCs. Marke Bierbach. 20 x 250 STK. joints claws. Joint gap 10 mm. for approx. Special feature Bearing resolutions. 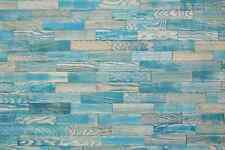 Wall Tiles, Decorative Wall Panels, Wall Covering, Wood Mosaic Tiles. 11x tiles =1sqm. Weight: 1.2kg. Decorative wood tile for wall. 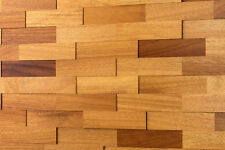 3D wood wall tiles.Rustic natural wood mosaic panel. Price is per tile. Weight: 1kg. Wodewa - 3D Echtholz Wandverkleidung & Gestaltung. einzigartige 3D Optik durch unterschiedliche Holzstärken. Maßeinheit m². Ausgewählte Suchfilter Holz-Wandverkleidung. Material Holz. EAN 4260405590155. Each solid wood strappy is unique due to its natural texture and color. wodewa - 3D wooden wall cladding & design. Marke wodewa. 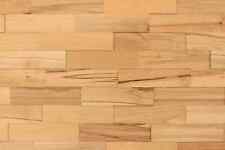 The type of wood All cuts of Canadian Maple are perceived as attractive. Surface of the wall panel has a naturally grey-brownish tone. Surface: Sun-faded, weathered, slighty brushed. Antique 3D wooden wall claddings. Oak - natural oiled. Oak - unfinished. Smoked oak - natural oiled. Oak, Birch and Alder 3D wooden wall claddings Ligat. Construction: Semi-rounded wooden parts, pre-sanded Oak, Birch and Alder, are glued together in 3D optic on 8mm OSB panel. 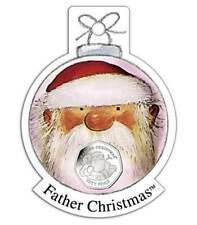 Special - all wooden parts are machined from Round lumber in a beautiful semi-circular shape. Construction: W ooden parts, planed and black oiled Oak, are stitched together in width in 3D optic. Surface: planed and oiled in Black. Oak - natural oiled. Smoked oak - natural oiled. Oak 3D wooden wall claddings Kokenhusen. Surface: splitted oak wood. Oak - natural oiled. Oak - unfinished. Smoked oak - natural oiled. Antique 3D wooden wall claddings Tirsen. The wall panels are suitable for decorative wall design indoors. Each solid wood strappy is unique due to its natural texture and color. wodewa - 3D wooden wall cladding & design. Marke wodewa. The type of wood Its unusual pattern - ensures the popularity of the wood originating from West Africa yellowish-white with dark brown veins. Surface of the wall panel has a naturally brownish tone. Oak - natural oiled. Antique 3D wooden wall claddings. Oak - unfinished. Smoked oak - natural oiled. The wall panels are suitable for decorative wall design indoors.